This picture might not seem like anything great but it was a moment in my weekend worth sharing so I thought I’d do so here. 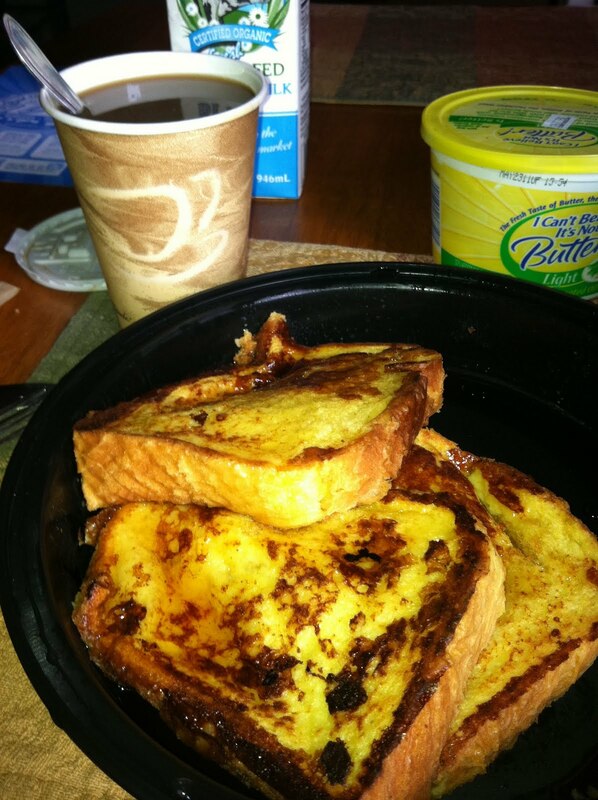 About 30 minutes later, french toast and coffee arrives from Big Daddy’s. This little gesture made my heart melt (something I normally don’t admit) because it was thoughtful and perfect and one of those “little things” that is really a big thing.